Peppermint tea is an aromatic drink that can even beat your fancy cup of joe or green tea. This interesting beverage is not only low in calories but also curbs unwanted hunger cravings and boosts digestions - all of this has direct relation with weight loss. Peppermint, or pudina, is one of the most versatile and commonly used herbs in the world. From keeping all stomach-related problems at bay to providing interesting and revitalising drinks, pudina is brimming with countless health-promoting properties. But not many people know that pudina also helps in weight loss. 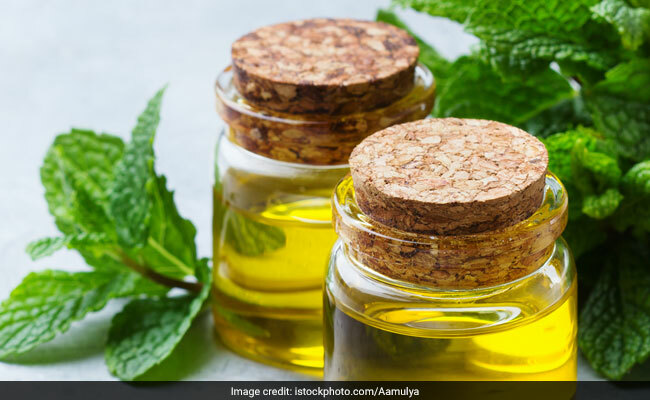 According to the book, 'Healing Foods' by DK Publishing, "menthol, an active compound present in mint leaves, can boost your digestion and improve bowel movement. Poor digestion is one of the main causes of weight gain." You can include mint, or pudina, in your diet by making its chutney or raita, or simply mixing it with water and lemon to have the ever-refreshing mojito. 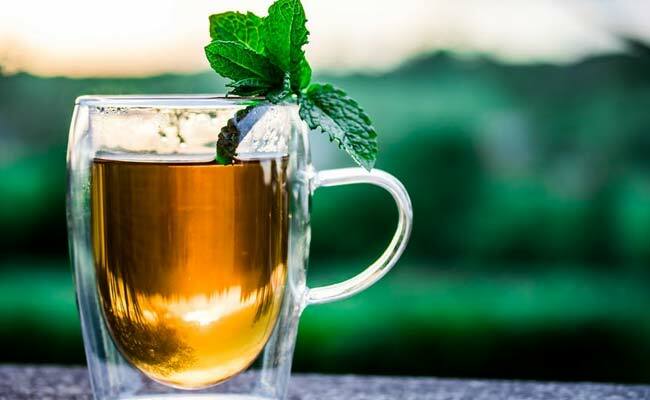 But, if you want to accelerate the pace of your weight loss programme, then try peppermint tea - a stress-reliever drink that can help you in so many ways, without any side-effects. Peppermint tea is an aromatic drink that can even beat your fancy cup of joe or green tea. This interesting beverage is not only low in calories but also curbs unwanted hunger cravings and boosts digestions - all of this has direct relation with weight loss. Drinking peppermint tea makes us feel satiated for long so that we don't feel much hungry later in the day. The strong scent of peppermint is known to suppress appetite and reduce cravings. Moreover, this refreshing tea is packed with caffeine and catechins, which help increase the temperature of our body, further improving our metabolism. This property makes peppermint tea an amazing pre-workout drink too, especially for the ones who workout regularly. In a saucepan, add water and chopped or whole mint leaves. Let it boil for five to seven minutes. Take a cup and strain the mixture into it. You may add honey to it for flavour. With the help of mortar and pestle, grind the ginger and dry mint leaves. Now, take a saucepan and add water to it. Add both ground ginger and dried peppermint leaves to it and let it boil for 3 to 4 minutes. Remove from flame and add fresh peppermint leaves. Let it steep for five minutes. Strain the drink in a cup and drink warm. It is really interesting how this herb has so many health-promoting properties. But make sure you have consulted your doctor before drinking peppermint tea for weight loss.